With the 2018 World Cup in Russia only 30 days away, Mexico and several other countries, including Brazil and Argentina, announced their preliminary World Cup rosters. 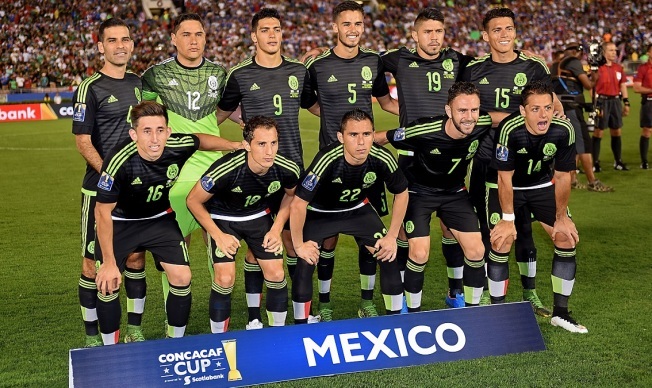 Of course, injuries and cuts are expected until each country reaches the final 23-man squad, but Mexico's initial roster caused a notable stir with the tournament only a one month away. El Tri manager Juan Carlos Osorio included Rafa Marquez at age 39, which raised more than a couple eyebrows. (Marquez was also sanctioned last year for alleged connections to drug traffickers, which he denied.) However, the leadership and experience Marquez can provide on the bench and in the locker room makes him a uniquely justifiable choice, even if he's not expected to play any significant part on the pitch. LAFC's Carlos Vela and LA Galaxy's Jonathan dos Santos both made Mexico's preliminary 28-man roster, which was expected, but the inclusion of LA Galaxy's Giovani dos Santos came as a surprise considering his lack of production at club level and a poor MLS season in 2017.
Notable omissions from the squad included Chivas midfielder Rodolfo Pizarro and Santos Laguna midfielder Jose Juan "Gallito" Vazquez. Goalkeepers: Guillermo Ochoa (Standard Lieja-BEL), José de Jesús Corona (Cruz Azul) y Alfredo Talavera (Toluca). Defenders: Carlos Salcedo (Eintracht Frankfurt-GER), Néstor Araujo (Santos Laguna-MEX), Diego Reyes (Oporto-POR), Héctor Moreno (Real Sociedad-ESP), Hugo Ayala (Tigres), Oswaldo Alanís (Getafe-ESP), Edson Álvarez (América), Jesús Gallardo (Pumas UNAM) y Miguel Layún (Sevilla-ESP). Midfielders: Jesús Molina (Monterrey), Rafael Márquez (Atlas), Héctor Herrera (Oporto-POR), Jonathan Dos Santos (LA Galaxy-USA), Andrés Guardado (Real Betis-ESP), Erick Gutiérrez (Pachuca), Marco Fabián (Eintracht Frankfurt-GER) y Giovanni Dos Santos (LA Galaxy-USA). Forwards: Javier Hernández (West Ham-GBR), Raúl Jiménez (Benfica-POR), Oribe Peralta (América), Jesús Manuel Corona (Oporto-POR), Carlos Vela (Los Ángeles FC-USA), Javier Aquino (Tigres UANL), Hirving Lozano (PSV Eindhoven-NED), Jurgen Damm (Tigres UANL). Argentina also announced its preliminary roster with 35 names listed. Argentina manager Jorge Sampaoli called up Paolo Dybala and Mauro Icardi in the inital squad, with both players considered on the fringes of the manager's plans considering Lionel Messi, Gonzalo Higuain and Sergio Aguero are all available and healthy. For Brazil, a recent injury to Dani Alves created questions at the right back position, and Brazilian manager Tite included Fagner from Continthians in his preliminary 23-man squad to help cover for the injury. Manchester City's Danilo can also play on the right side and Atletico Madrid's Felipe Luis may be asked to switch sides with Real Madrid's Marcelo — considered a clear first-choice at left back. Of course, Neymar is also included in the squad, and Brazil's no. 10 is expected to combine with Philippe Coutinho and Gabriel Jesus in a lethal attacking front-three ahead of Paulinho and Casemiro mixing with either Renato Augusto or Fernandinho in the midfield.